In 1782, when Bangkok became the new capital of Siam, King Rama I, the founder of the present Chakri dynasty, at once set abour recreating the glory of the old capital, Ayutthaya, with its beautiful temples and golden palaces. 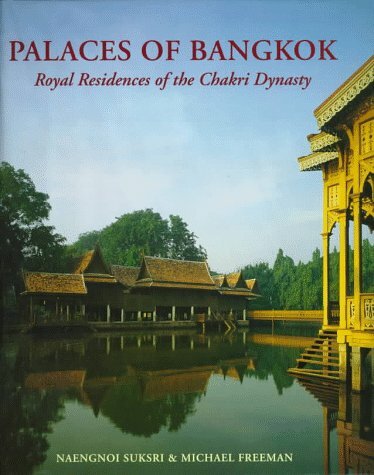 This is a study of the palaces built by the Chakri dynasty. The vast complex he constructed, known as the Grand Palace, covers an area of 61 acres. The succeeding 200 years also saw some 100 other palaces constructed in and around Bangkok. Initially built in traditional Thai style using wood, these palaces were soon replaced by masonry buildings in a diversity of styles, from Thai and Chinese to Western as Siam became more open to the influence of the West.